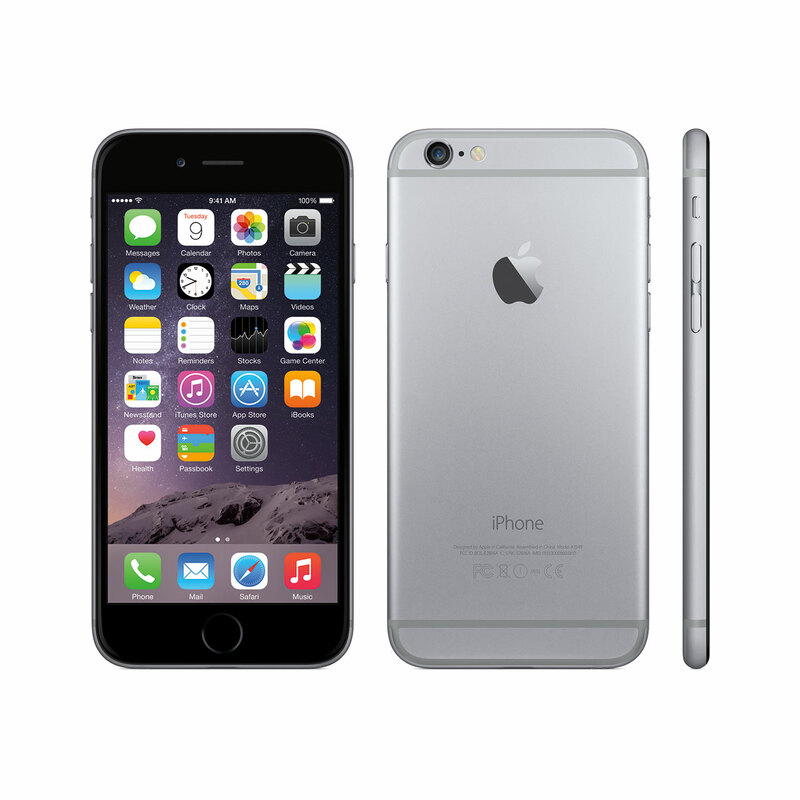 Apple® today announced iPhone® 6 and iPhone 6 Plus, the biggest advancements in iPhone history, featuring two new models with stunning 4.7-inch and 5.5-inch Retina HD displays, and packed with innovative technologies in an all-new dramatically thin and seamless design. The new iPhones feature a precision unibody enclosure of anodized aluminum that conforms seamlessly with the shaped glass of the display, resulting in a completely smooth and continuous surface. 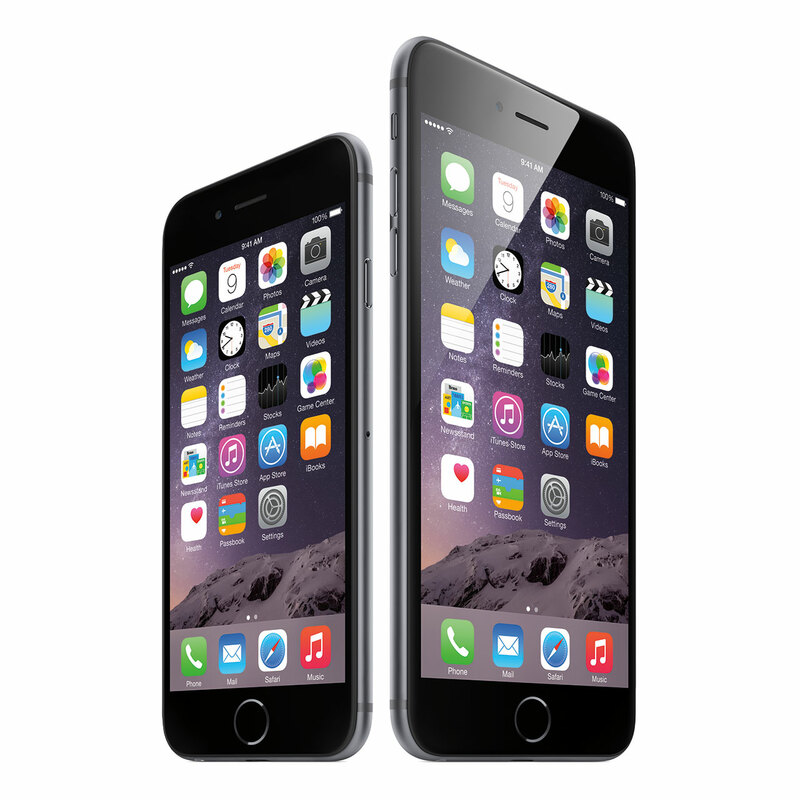 iPhone 6 and iPhone 6 Plus are engineered to be the thinnest ever, delivering a bigger display in a design that is still comfortable to hold and easy to use. 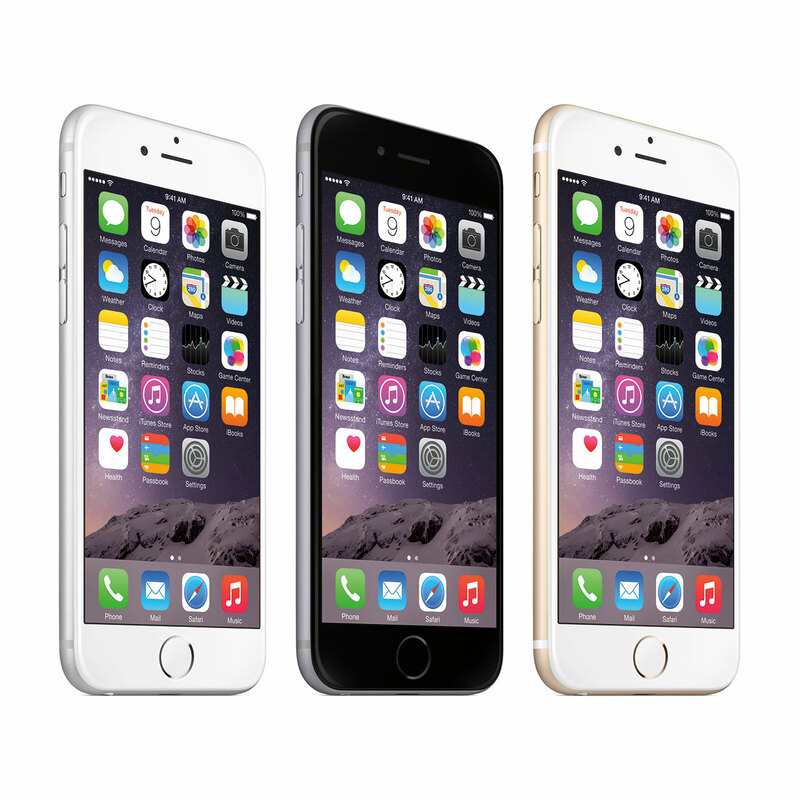 Packed with innovative new technologies, iPhone 6 and iPhone 6 Plus include: the Apple-designed A8 chip with second generation 64-bit desktop-class architecture for blazing fast performance and power efficiency; advanced iSight® and FaceTime® HD cameras; ultrafast wireless technologies; and Apple Pay™, an easier way to simply and securely make payments with just the touch of a finger.¹ Both models include iOS 8, the latest version of the world’s most advanced mobile operating system, featuring a simpler, faster and more intuitive user experience with new Messages and Photos features, QuickType™ keyboard, a new Health app, Family Sharing and iCloud Drive℠. For the first time iPhone is available in two new sizes: iPhone 6 features a stunning 4.7-inch Retina® HD display with 1334 x 750 resolution, providing 38 percent more viewing area than iPhone 5s, while iPhone 6 Plus features an even bigger 5.5-inch Retina HD display with 1920 x 1080 resolution, providing 88 percent more viewing area and nearly three times the pixels than iPhone 5s. The Retina HD displays offer advanced technologies including higher contrast for deeper blacks and dual-domain pixels for more accurate colors at wider viewing angles. With second generation 64-bit desktop-class architecture, the all-new A8 chip offers faster performance and is more energy efficient, delivering higher sustained performance with great battery life. With Metal™, a new graphics technology in iOS 8, developers can take performance of the A8 chip even further to bring console-class 3D games to iPhone. The A8 chip also includes a new, powerful Apple-designed image signal processor that enables advanced camera and video features. Both models include the M8 motion coprocessor that gathers motion data from the accelerometer, gyroscope, compass and the new barometer, which senses air pressure to provide relative elevation. The M8 motion coprocessor can continuously measure your motion data, even when the device is asleep, saving battery life for fitness apps that use the sensors all day. With iOS 8, motion data from M8 appears in the Health app so you can see how many flights of stairs you've climbed, or how far you've walked or run. Developers can use CoreMotion APIs that take advantage of M8 and HealthKit to create apps that help you take better care of your health and fitness. iPhone 6 and iPhone 6 Plus introduce Apple Pay, an easy way to securely pay for physical goods and services in stores or apps with just the touch of a finger. Users can pay securely and conveniently in stores by simply holding the phone near the contactless reader while keeping a finger on Touch ID™; there is no need to unlock your iPhone or launch an app. With Apple Pay, you can also make one-touch purchases within apps, without having to enter credit card or shipping information. All payment information is kept private, encrypted and stored securely in the Secure Element, a chip inside the new iPhones. The iSight camera gets even better with a new sensor featuring Focus Pixels for faster autofocus, making it easier to quickly capture any moment. iPhone 6 Plus users will also benefit from optical image stabilization technology that compensates for hand shake in low light and works with iOS 8 to reduce subject motion. High-definition video on iPhone improves with faster frame rates up to 60fps for 1080p video and 240fps for slo-mo, as well as continuous autofocus, cinematic video stabilization and time-lapse video. The FaceTime HD camera now captures over 80 percent more light with a new sensor, larger f/2.2 aperture and advanced new features including burst mode and HDR video. The new iPhones come with iOS 8, the biggest release since the launch of the App Store℠, delivering a simpler, faster and more intuitive user experience and new features including QuickType keyboard, a new Health app, Family Sharing and iCloud Drive. With more than 4,000 new APIs, iOS 8 allows developers to further customize the user experience with major extensibility features and robust frameworks such as HealthKit and HomeKit. iPhone 6 and iPhone 6 Plus users also have access to the revolutionary App Store, which offers more than 1.3 million apps to iPhone, iPad® and iPod touch® users in 155 countries around the world. iPhone 6 comes in gold, silver or space gray, and will be available in the US for a suggested retail price of $199 (US) for the 16GB model, $299 (US) for the 64GB model and, for the first time, a new 128GB model for $399 (US) with a two-year contract.⁴ iPhone 6 Plus comes in gold, silver or space gray, and will be available in the US for a suggested retail price of $299 (US) for the 16GB model, $399 (US) for the 64GB model and $499 (US) for the new 128GB model with a two-year contract.⁴ Both models will be available from the Apple Online Store (www.apple.com), Apple’s retail stores, and through AT&T, Sprint, T-Mobile, Verizon Wireless, additional carriers and select Apple Authorized Resellers. iPhone 6 and iPhone 6 Plus will be available in the US, Australia, Canada, France, Germany, Hong Kong, Japan, Puerto Rico, Singapore and the UK beginning on Friday, September 19, and customers can pre-order both models beginning on Friday, September 12. Apple-designed leather cases will be available in black, soft pink, olive brown, midnight blue and (RED) for $45 (US) for iPhone 6 and $49 (US) for iPhone 6 Plus and silicone cases in black, blue, pink, green, white and (RED) for a suggested retail price of $35 (US) for iPhone 6 and $39 (US) for iPhone 6 Plus through the Apple Online Store (www.apple.com), Apple’s retail stores and select Apple Authorized Resellers. iPhone 5s will be available in the US for a suggested retail price of $99 (US) for the 16GB model and $149 (US) for the 32GB model, and an iPhone 5c 8GB model will be available for free.⁴ iOS 8 will be available as a free software update starting on Wednesday, September 17. Some features may not be available on all products. Apple Pay will be available to US customers as a free software update to iOS 8 this October.